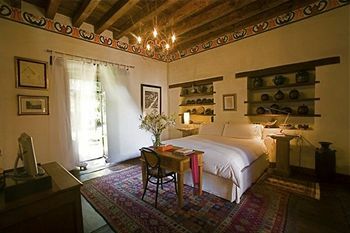 A lovely, art-filled hotel has opened in an important 16th century manor house in Michoacan’s central city of Patzcuaro. 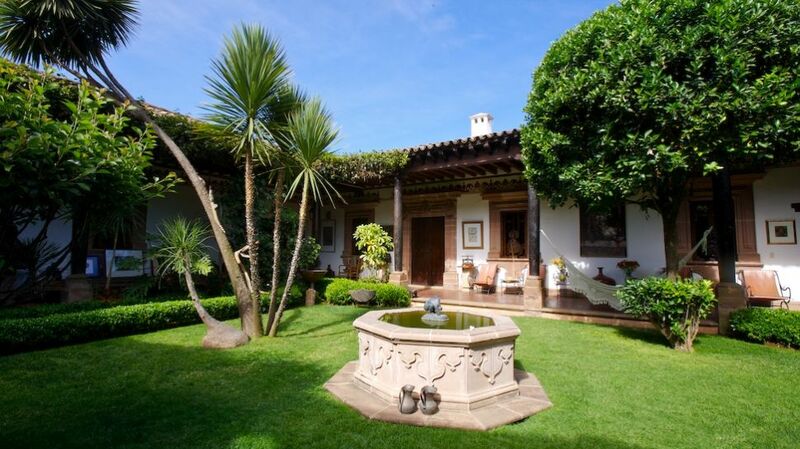 Located just half a block from the beautiful Plaza Vasco de Quiroga – considered by some to be the most beautiful colonial square in Mexico – this divine oasis of five guest rooms, giving on to a courtyard garden of old stones and lush planting, provides reason enough to visit. But the state of Michoacan in Mexico’s colonial heartland, is a must to visit. It is an artistically creative state and naturally very beautiful. Patzcuaro, a charming town, was an important ceremonial center of the Indians who settled here at the beginning of the 14th century and who developed the most sophisticated pre-Columbian society in Western Mexico. During the Colonial period, it served as the capital of Michoacan, and this dual heritage has given it a fascinating blend of Indian tradition and colonial architecture, extraordinarily varied craft, and one of the most haunting venues for that famous Mexican festival, the Day of the Dead, held on November 1st and 2nd. Stay at Casa Real de la Real Aduana, hire a car, and wend your way from village to village. 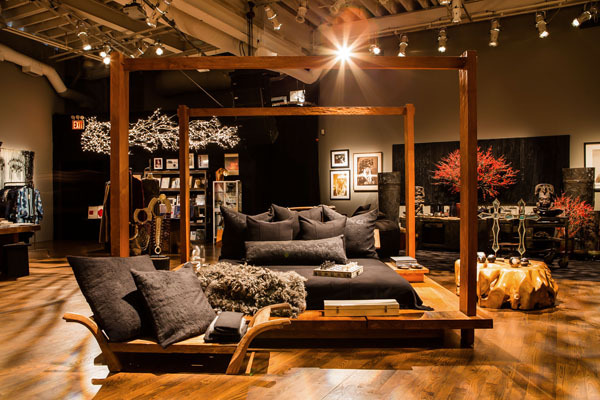 The Purhepecha Indians, artists of mixed traditions, cultures and beliefs, produce exquisite craft in diverse media. Craftsmen of fabric, wood, stone, and clay and the famous copper artisans of Santa Clara del Cobre, cluster in craft-specific villages. Seek out the craft masters, identified and described in the gorgeous book, Great Masters of Mexican Folk Art. It will be your roadmap, the bible to your trip. If you can choose to come during February and March, make sure to visit the Monarch butterfly sanctuaries in the mountains of Michoacan. 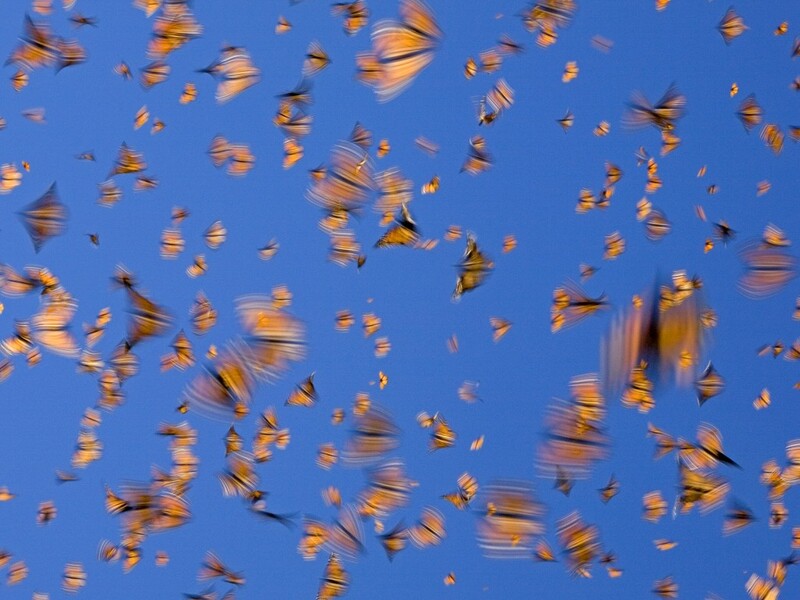 These are the best months to witness the natural wonder of thousands of monarchs who come there for a winter’s rest. Be like the monarch and come here to catch your breath and revive. You can also take a look at my new line of itineraries at Willing Foot. We have a wonderful itinerary designed around Michoacan and the Monarch butterflies.